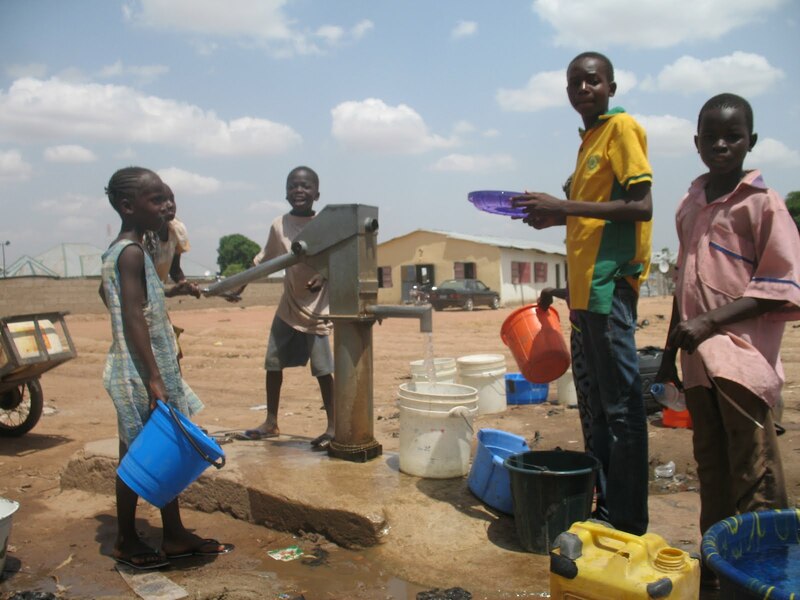 In the year 2012, the United Nations Children’s Fund and World Health Organization announced cheering news that the world has achieved the Millennium Development Goal (MDG) target of halving the proportion of people without sustainable access to safe drinking water, three years in advance of the 2015 MDG deadline. Titled: Progress on Drinking Water and Sanitation 2012, the report says 89% of the world’s population, or 6.1 billion people, used improved drinking water sources, at the end of 2010. This was one per cent more than the 88% MDG target. The report was received with excitement globally, but people living in most parts of Africa, received it with mixed reactions as the report did not reflect the reality on the ground. The report itself admitted the fact that global coverage figures mask massive disparities between regions and countries, and within countries. The truth is that Africa still has the lowest total water supply coverage of any region in the world. Currently about 300 million people in Africa do not have access to safe water and about 313 million have no access to sanitation. Only 61% of the people in sub-Saharan Africa have access to improved water supply sources compared with 90% or more in Latin America and the Caribbean, Northern Africa, and large parts of Asia. Over 40% of all people globally who lack access to drinking water live in sub-Saharan Africa. According to figures provided by Sering Jallow, Director Water and Sanitation Department& African Water Facility, AfDB, as of 2010, 47.6% of Africans had access to water supply, and 27.9% had access to improved sanitation, but these figures are far below the MDG targets of 70% for water supply, and 62% for sanitation. 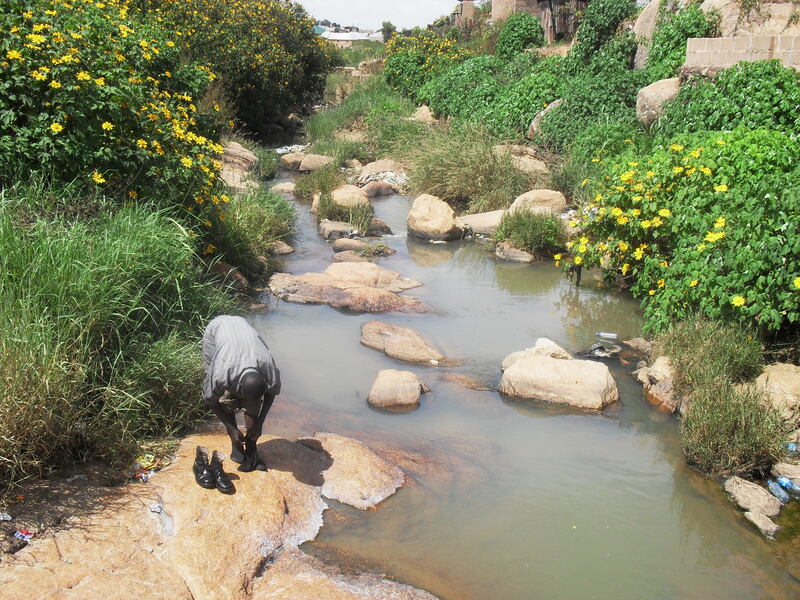 Only about 16 countries in Africa are on target to meet the MDGs for water while less than 10 are likely to meet the sanitation targets necessitating the need to develop new initiatives to accelerate access. At the current pace, an African Development Bank (AfDB) study calculated that most sub Saharan African countries will meet access-to-water target of the Millennium Development Goals (MDGs) only in 2040, and the access-to sanitation target in 2076. Apart from massive disparities among continents and countries, there are also massive disparities within countries, with most rural areas having the lowest access figures compared to urban areas; yet, most African, about 62% live in rural areas. Access to services is estimated to be 47% for water supply and 44% for sanitation. In view of the low access to WSS services in rural areas, rural populations are burdened to a greater extent by preventable water and sanitation related diseases, suffer great deprivation of women and children from embarking on productive economic activities due to time and efforts used to fetch water. The deprivation also results in low enrolment rate in education. These problems contribute to accentuate poverty in the rural areas. Inadequate investment for sustainable service delivery and access. Poor policy and institutional framework to foster effective and efficient implementation and management of RWSS services. Lack of human capacity to establish community-managed RWSS services as well as engineering and drilling/construction capacity to deliver WSS facilities. Inefficient management of Operation and Management of water supply and sanitation services as many facilities have fallen into disrepair due to lack of spare parts and maintenance. All these scenarios are worsened by water resources variability and scarcity (droughts, population pressure, and environmental degradation) in some countries. The Rural Water Supply and Sanitation Initiative (RWSSI) is one of the donor led efforts to accelerate access to water and sanitation in Africa and it aims at attaining 66% access to water supply and sanitation by the year 2010, 80% by 2015, and full access by 2025. The African Development Bank Group conceived the RWSSI in 2002 within the framework of the Bank Group’s strategic plan (2003 –2007) and in response to the Africa Water Vision and the UN Millennium Development Goals. Launched in 2003 by AfDB, it was then adopted by African governments and international development partners as the common Framework for resource mobilization and investment at the First International Conference on Rural Water Supply and Sanitation in Africa, held in Paris in April 2005. The Initiative has received backing from the international community including the G8 Summit at Evian, the World Panel on Financing Water Infrastructure and the African Ministerial Council on Water (AMCOW) as well as several bilateral donors. The overall objective of the RWSSI is to provide access to sustainable water supply and sanitation services to 271 and 295 million people in rural Africa, respectively, to reach the target of 80 percent coverage by 2015. By its estimates, a total of approximately 270 million rural people will need to be provided with access to improved water supply and about 300 million to sanitation in order to meet the 2015 RWSSI target of 80% access to water supply and sanitation. This objective of achieving 80% access in 2015 and universal access by 2025 may become a pipe dream as there is a large gap between current financial flows and financial requirements to meet the goals for 2015 and 2025. Annual flows would need to be significantly increased by up to US$1.2 billion to meet the targets. An estimated USD 14.2 bn required to provide water to 271M people and sanitation facilities for 295M people; while the total financial resources required to achieve the 2015 RWSSI targets were estimated at USD14.8 billion. Entrenching decentralisation: Though many African countries have embarked on the process of devolving responsibilities for water and sanitation services to local authorities, in most cases, decentralization has only been on paper with little practical manifestation. More importantly, there is a need to increase financial flows and transfer authority to local level structures. Improving supply chains: Existing supply chains managed by governments are weak and most RWSS programs have not incorporated the establishment of privately-driven supply chains. Communities are exposed to very weak supply chains and post-construction support. Low sanitation coverage: According to the JMP 2010 report, only 6 countries in Africa are likely to meet the sanitation MDG target. Without further political and financial commitment from Governments and development partners, the sanitation situation might actually retrogress on the continent. In most countries the management of sanitation is fragmented and there is no designated budget and institutional home for sanitation provision. Conflicting financing mechanisms for sanitation: The majority of the RWSS programs finance only community mobilization and training in hygiene education and construction of public sanitation facilities. 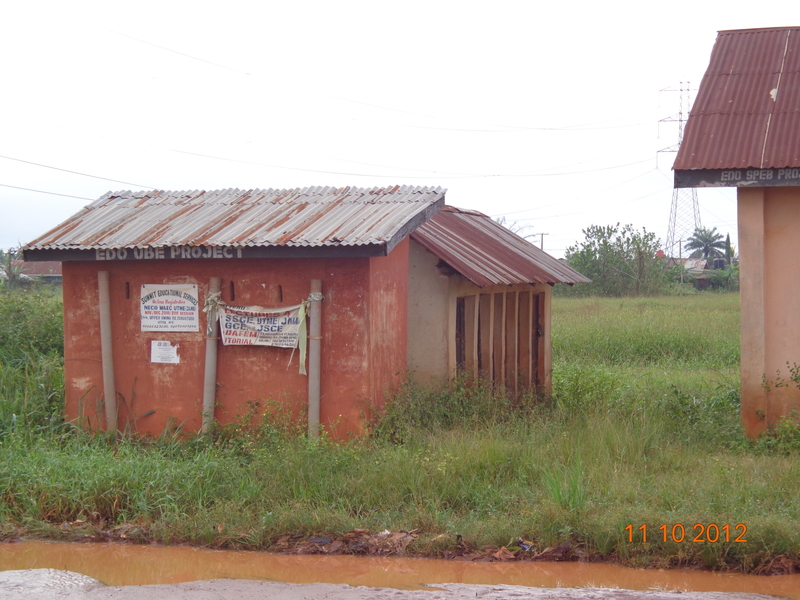 There is a need for policy guidance on the financing of household sanitation facilities. Improving Monitoring and Evaluation (M&E) frameworks: Despite financial support through a number of RWSS programs for the establishment of M&E systems, most countries are unable to provide reliable data for sector planning and information management. Weak knowledge dissemination: Best practices and experience from use of innovative technologies are not efficiently shared across the region due to lack of knowledge and information dissemination mechanisms, and thus the benefits of innovative approaches and experiences are often lost. Promotion of linkages among stakeholders, including government bodies and donors, and civil society organizations. Adoption of well-designed water utility reforms are substantially improving access to services and making progress in financial capacity to sustain and expand the services. Mobilization of more funds from governments, communities, NGOs and donors. The RWSSI prides itself as the only continental initiative focusing on RWSS services at such large scale; and as of Dec. 2012, the initiative had implemented 37 programmes in 26 countries, providing water supply and sanitation access to 45 million and 30 million people (2011 values), respectively. From the foregoing discussions two key factors are strategic for up scaling and sustaining the delivery of water and sanitation services in rural Africa- they are adequate financing and effective coordination. Coordination at continental level: Is a need to develop more inclusive governance with greater involvement and effective participation of key stakeholders to jointly support and achieve the financing, implementation and reporting requirements of the initiative to deliver better results on the ground. The process of improving financing and coordination of RWWS activities at the continental level received a major boost, recently when major stakeholders gathered in Tunis, capital of Tunisia, March 26 and 27, 2013 to brainstorm the operational modalities of a Coordinating committee as a platform that will facilitate improved coordination and sector learning among partners and stakeholders towards the achievement of the RWSSI’s goals and targets. The meeting in Tunis was attended by officials from the AfDB, African Ministers Council on Water (AMCOW), the World Bank, UNICEF, WaterAid as well as water and sanitation Journalists networks. It lasted for three days, divided into five sessions, during which participants discussed issues related to the establishment of the Coordinating committee for the RWSSI. The opening session on ‘Progress and plans of the RWSSI’ was addressed by Mr. Gilbert Mbeshrubusa, AfDB Vice President, Operations III – Infrastructure; Mr. Francois Kruger, Executive Director, AfDB; Mr. Bai Mass Taal, AMCOW’S Executive Secretary; Hon. Christian G. Herbert, Deputy Minister for Rural Development and community Services, Liberia; and Mr. Sering Jallow, AfDB Director Water and Sanitation Department. During the second session, Mr. Bai Mass Taal mounted the podium again to introduce the essence of the proposed RWSSI Coordinating committee. 7. And consequently right to water and sanitation not realized! “In Malawi, WaterAid is supporting decentralized structures, and so far a total of 10 local government areas have been supported to develop District Strategic Investment Plans (DSIPs) which provides direction to planning, implementation, and monitoring of water and sanitation programmes, while about 12 districts are currently being supported by UNICEF to do the same”. 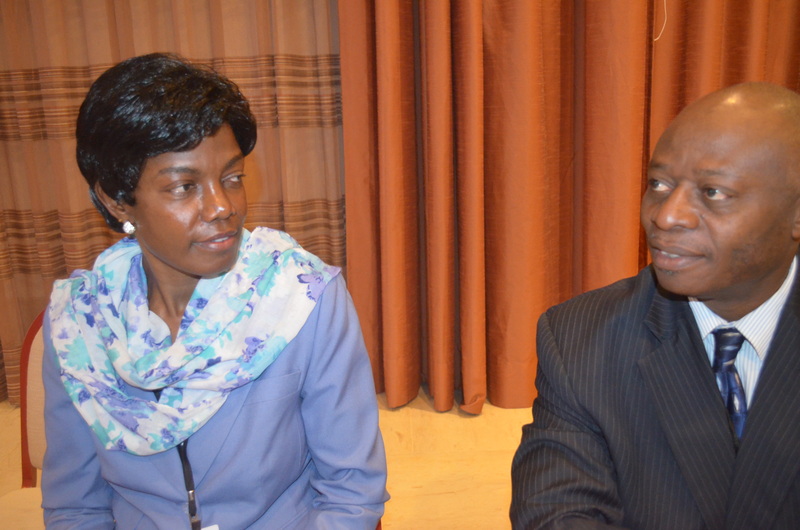 She, however, admitted that this best practice is not without its challenges: “due to lack of devolution, DSIPs struggle to mobilize resources to implement plans, although the Local Development Fund was introduced as a mechanism for supporting projects, tiny amounts are available for water and sanitation on a competitive basis”, said Megistu. 4. 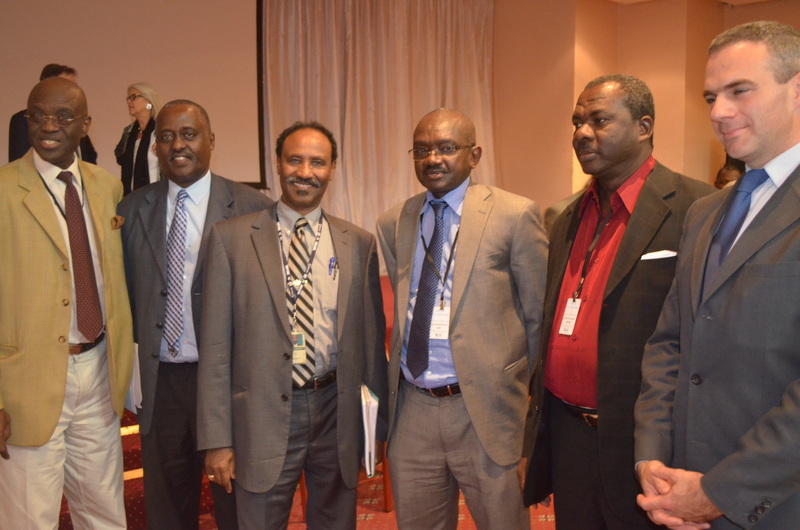 Engagement with Parliamentarians to champion increased sector financing in WASH. In the fourth session, participants were distributed to workgroups that extensively discussed the functions, structure, and 2013 work plan of the proposed Coordinating committee. The first work group assessed how to effectively monitor, evaluate, and report RWSS programmes in Africa and the questions posed to them are: How could the Coordinating Committee support to improve Monitoring and Evaluation (M and E) at country and regional level? What should be the short‐term deliverables and work‐plan for the newly formed Coordination Committee in the area of RWSS monitoring and Evaluation, and Reporting? What are the major needs and barriers for effective country M and E and Reporting? Presenting their report to the Plenary session of the Tunis meeting, participants in this group recommended that the new Coordinating Committee should assist in harmonizing and standardizing RWSS indicators for use in the AMCOW’s M and E; assist countries to develop capacity for RWSSM and E and reporting; provide platform for linkages to existing instruments, AfDB, African Water Facility (AWF), and promote peer to peer learning and exchanges as well as scaling up good experiences. 8. Ownership/personal involvement of political leadership. 1. Development of strategic approaches for post-conflict/fragile states, “aid orphans” such as Central African Republic, Sudan and Guinea Conakry. 2. Identification of users as a stable source of finance: participation, and the need to balance tariffs and subsidies. 3. Consideration of the private sector involvement in RWSS based on the examples of Burkina Faso, Kenya, and Senegal. 4. Learning strategies from urban water supply and sanitation UWSS and scaling up where appropriate. 5. Cross-sector collaboration: e.g. agriculture, and rural development. 6. Promotion of government contribution for stability. 7. Greater involvement in Poverty Reduction Strategy Papers (PRSP) and mobilising communities. 9. Identification of champions to promote innovative financing. Based on your knowledge of existing Africa wide institutions and ongoing activities, what should the membership of the proposed Coordinating Committee be and why? How should it be structured? What are your views on the proposed structure? What should be its short‐term work plan? 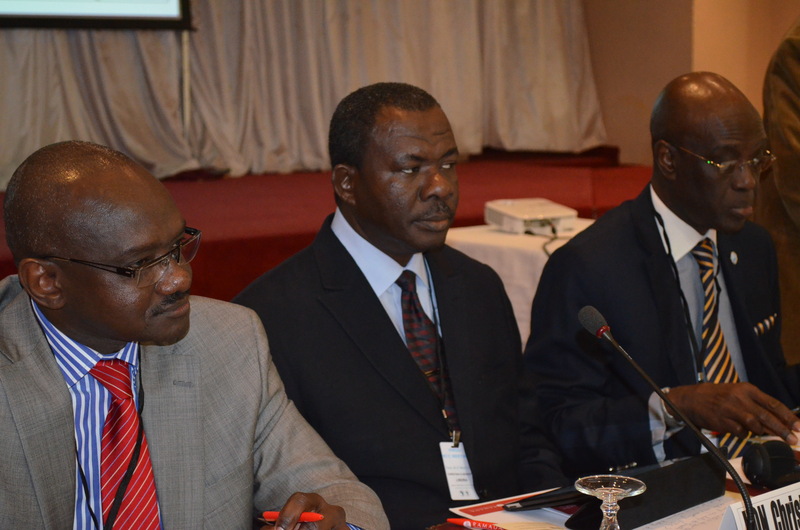 What are the resources implications for the Coordinating Committee? In its report, the group recommended a name change from Regional Coordinating Committee of the RWSSSI to Coordinating Committee of the RWSS, arguing that the word ‘regional’ is confusing. Participants also decided that the RWSSI Coordination Committee will comprise of eighteen (18) members drawn from AMCOW, Donor community, AfDB, Civil society, and Water and Sanitation Journalists network. 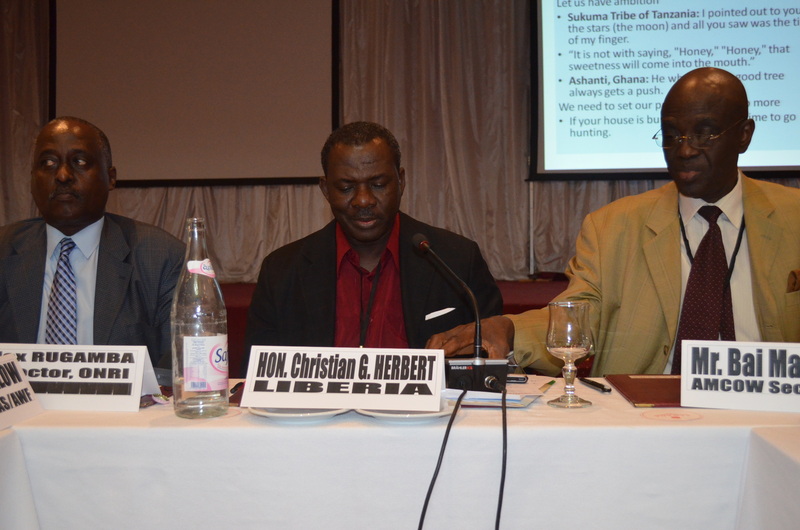 Specifically, the group recommended that the Coordinating committee should be co chaired by the AfDB and‐ AMCOW Secretariat; and its memberships should include regional representatives AMCOW’s Technical Advisory Committee (TAC) Countries: (Chad, Kenya, Libya, Angola and Nigeria); representatives from Ministries of Finance/Planning in AMCOW’s TAC countries: (Chad, Kenya, Libya, Angola and Nigeria); a donor representative; a representative from RWSSI‐Trust Fund; one representative from United Nations (UN-Water); Non governmental organizations to be represented by the African Network for Water and Sanitation; the media to be represented by Water and Sanitation Journalists Network; and the civil society to be represented by a well known group. The group also recommended that the structure of the Coordinating committee should be finalized within three months and the inaugural meeting of the body should be convened within the next six months. 1. Regional and international awareness of RWSSI for broader ownership and greater impact. 6. Promote Knowledge sharing and peer support in: National RWSSI strategies and policy development, Donor harmonization and coordination, Capacity Building, and Monitoring and evaluation for advocacy. The meeting was rounded up, with the launch of the Coordinating committee of the RWSSI by Christian G. Herbert, Deputy Minister for Rural Development and community Services, Liberia who represented the Liberian President- Ellen Johnson-Sirleaf. The 3rd annual general meeting of the West Africa Water and Sanitation Journalists (WASH-JN) holds in Senegal, April 8-10, 2013. The meeting will deliberate on in country activities of Institutional members of the WASH-JN- the national Water and Sanitation Media Networks, progress reports on grant projects implemented by the member countries, as well as election of new officers for the regional WASH media network. Participating Journalists will also use the opportunity to some slum communities in Senegal to report on state of access to water supply and sanitation services. 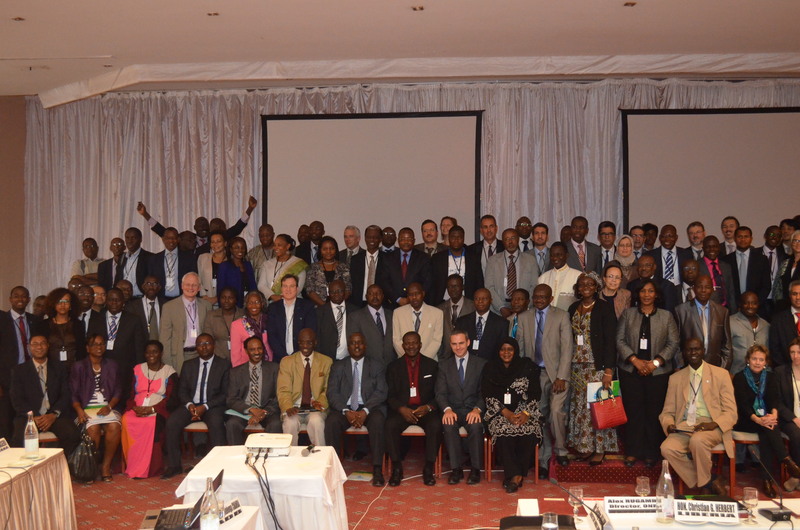 The Coordinating Committee of the Rural Water and Sanitation Initiative (RWSSI) in Africa was launched in Tunis, Tunisia last week. RWSSI is a continental framework for resource mobilisation, investment, and development of rural water supply and sanitation in Africa; while the Coordinating Committee for the RWSSI is expected to facilitate improved coordination and sector learning among partners and stakeholders towards the achievement of RWSSI’s goals and targets. The African Development Bank (AFDB) will launch a new initiative to facilitate improved coordination and sector learning among partners and Stakeholders towards the achievement of the Bank’s Rural Water Supply and Sanitation Initiative (RWSSI), next week in Tunisia. Known as the ‘Rural Water Supply and Sanitation Initiative’s Regional Coordination Committee (RCC)’, the event will hold on March 26 and 27 at the Tunis head quarters of the Bank and will be attended by 150 – 200 experts representing all countries in Africa, as well as RWSSI stakeholders. The Rural Water Supply and Sanitation Initiative (RWSSI), a joint programme coordinated by the AfDB but financed by many donors, other partners and Regional Member Countries (RMCs), was first launched in 2003 by the African Development Bank with an overall goal of achieving universal access to water supply and sanitation services for the rural populations by 2025 with an intermediate target of 80% coverage by 2015 in a sustainable way. The Initiative seeks to help mobilize as well as facilitate the flow of available and potential resources to accelerate investment in Rural Water Supply and Sanitation (RWSS) in Africa, with goal to reach 80 percent coverage by the year 2015. The Initiative supports the achievement of the Millennium Development Goals (MDGs) and the reduction of poverty. RWSSI was adopted in 2005 by AfDB’s main international development partners and African governments as a common framework, at the first International Conference on the RWSSI held in Paris April 1st, 2005. The focus areas of the RWSSI include water supply, sanitation, hygiene, sector policy and strategy, capacity building and funds mobilization for Rural Water Supply and Sanitation sub-sector; and the Initiative targets about 280 million people living in rural Africa with access to new and rehabilitated water supply and sanitation (WSS) facilities. The overall objective of next week’s meeting in Tunis is to launch the platform that will facilitate improved coordination and sector learning among Partners and Stakeholders towards the achievement of RWSSI’s goals and targets. The specific objectives of the meeting are: appraising stakeholders on RWSSI progress, achievements, challenges and plans leading to 2015. This will also include a discussion on some of the key issues affecting sector progress (sector monitoring and performance reporting; sub-sector financing; sustainability; sector coordination) and how Africa should address them; sharing country and field experiences in co-ordination to inform the way forward for RWSSI; obtaining partner and stakeholder inputs towards identifying opportunities and addressing co-ordination challenges to achieve Africa’s rural water supply and sanitation targets; reviewing the draft terms of reference and membership of the RCC, and proposing undertakings for the first year (including modalities for their achievement); and, launching the RCC. The meeting is expected to result in an enhanced understanding of the role, impact and contribution of RWSSI towards the achievement of Africa’s water and sanitation targets in rural and small town communities; greater awareness of key issues affecting sector progress and that are central to the mandate of the RCC. These include sector performance monitoring and reporting, resource mobilization and sustainability of rural water supply and sanitation services, national level coordination, etc. climate change and adaptation, and how the RWSSI and the region is/should be addressing them; and a better understanding of the need for co-ordination and a commitment to enhance this at regional and national levels. Lizzy Achuagu, Chair, Enugu State Water and Sanitation Media Network, Nigeria examines the challenges flooded communities and marginalized groups in accessing safe WASH service in Nigeria. river. Flooding is a disaster and should be curbed to avoid being inimical to lives. Flood could cause so many negative things which among them are encroaching the area meant for farmlands. It could also cause erosion which may lead to earth-quake, inability to access good water, and sometimes it may affect land quality. Flooding is an unpleasant situation which has affected the lives of people and natural endowments. In some of our communities, flooding is one of the natural disasters we face as a challenge.. 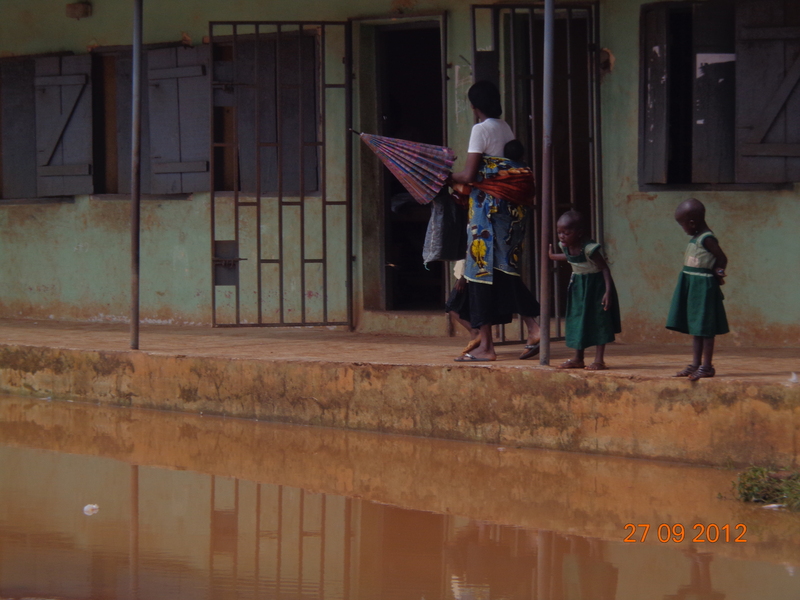 Flooding as increased the cost of access to safe water as people have no option than to boil it whenever it is needed. 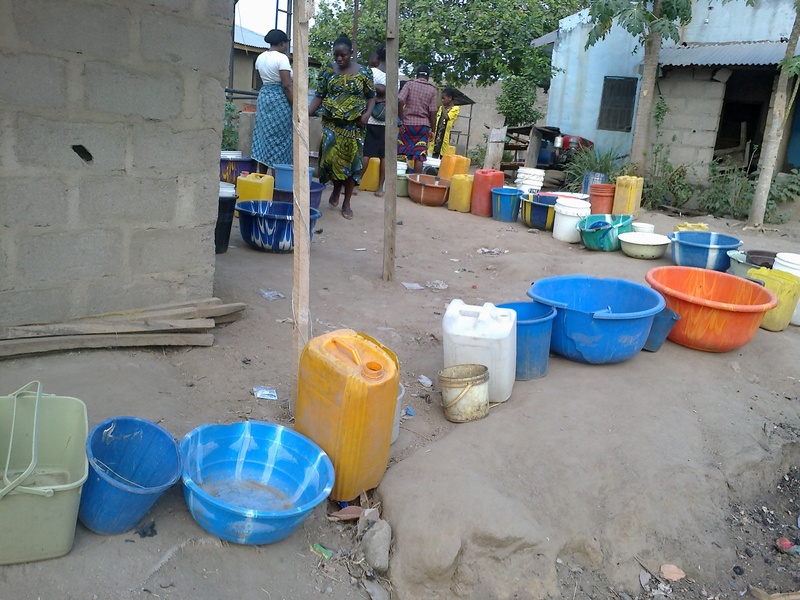 Flooding has reduced the communities to buying kerosene whenever water is to be used. During the rainy seasons most of rivers are overflown. 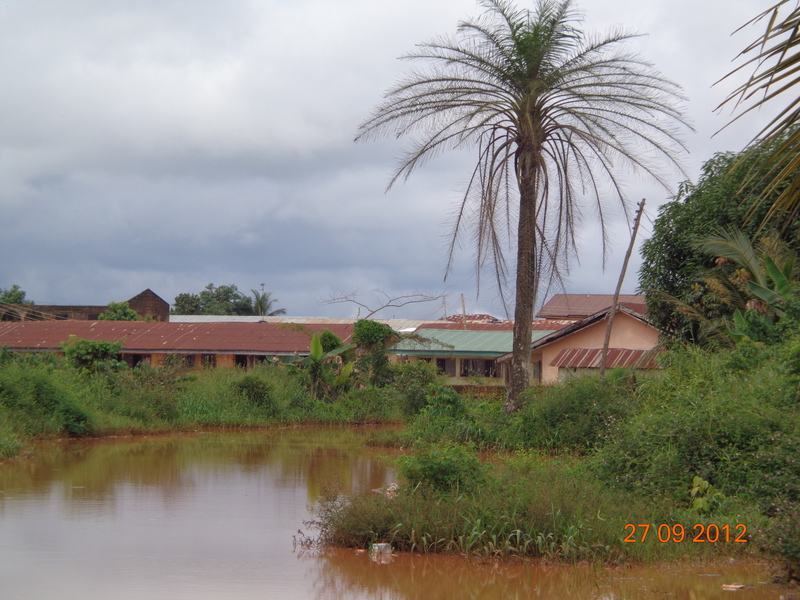 Some of our rural areas have no purified water owing to flooding and its causes. Without water, there would be unhealthy living, and everywhere around the community would be unpleasant. 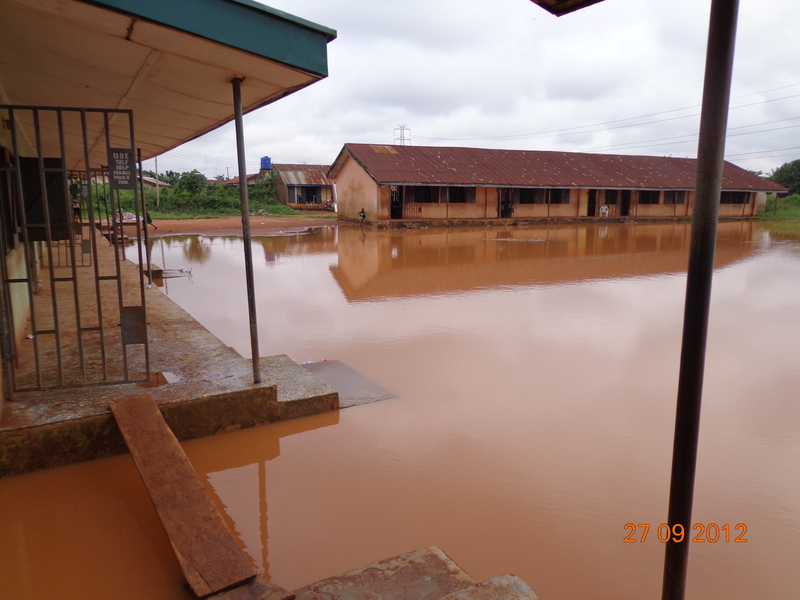 Flooding has also affected the source of some of our communities’ ground water. In some of our communities the water there could be good for drinking but due to flooding it cannot be used for drinking water. It is estimated that ground water flooding affects a few hundred thousand properties in some of our communities. Ground water flooding occurs as a result of water rising up from the underlying rocks or from water flowing from abnormal springs. This tends to occur after much longer period of sustained high rainfall. Higher rainfall means more water will infiltrate into the ground and cause the water table to rise above normal levels. The precautions that can be taken by individuals to protect against ground water flooding are limited. Ground water flooding is often more difficult to prevent than surface water flooding; it’s not as simple as building flood defense to prevent river water spilling over its banks. There are some areas where ground water flooding has been dealt with by installing pumps to remove ground water and so lower the water table but these only have a localized effect, and there is still the problem of having somewhere to discharge the water so that the communities will live happily. 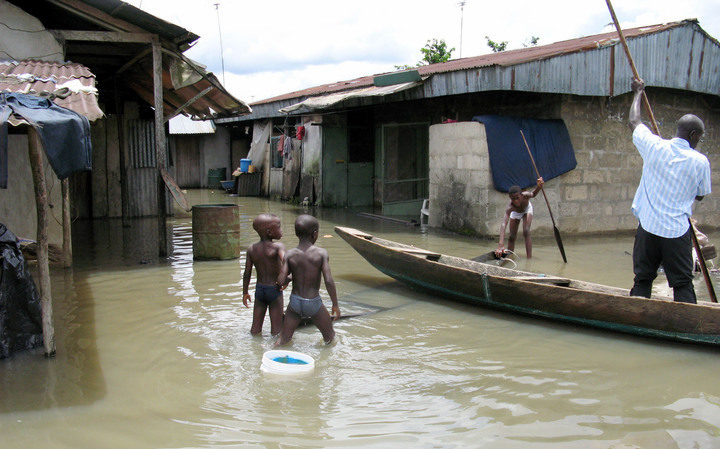 However, in the last three weeks, Nigeria has been facing an unprecedented flood disaster resulting in loss of lives and properties running into billions of Naira. These displaced persons run into thousands of homes, loss all they had, including farmland, and productivity estimated at billions of Naira. Speaking with one of the victims Mr. Rapheal Oduobara from Ogbaru local Government Area, said he lost everything he had but thank God for his life and the life of his people. According to him, there are minimal loss of lives because of the early warning and proactive intervention of the state government. He said that the state government is assisting the affected communities. 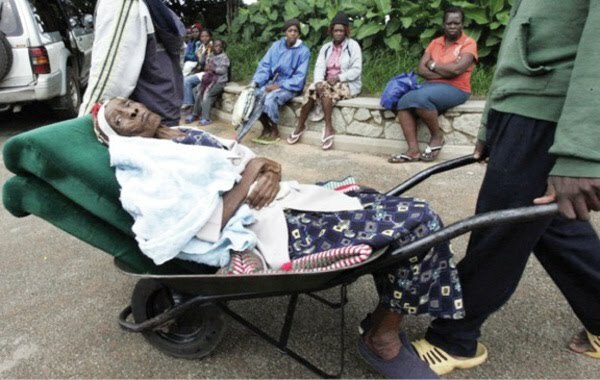 Adding that churches, Non Governmental Organisations and spirited individuals are also rendering affected people. About their personal hygiene he said “you don’t talk of neatness when you are in the jungle, you are in another man’ s land. You will soon ask me, about toilet”, he said. Mr. Oduobara also lamented that there is no way government can provide latrine under this emergency situation so we go to bush. In his contribution, a mother of five, Mrs. Florence Okeke said that as refugees they are not expected to be comfortable because their problem is not man made but natural disaster stressing that some of them who stays in school premises go to toilet in a nearby bush. One of the world’s poorest groups in the society is disabled people and their inability to access basic services and facilities, such as sanitation and safe water can result in poor health and poverty. Often, special adaptations are not incorporated into the enabling design of sanitation and water facilities in this country. For instance, if a community digs a bore hole without considering the disabled groups, they may not have access to that safe drinking water in their own community. We should not exclude our bothers, sisters and children from having access to WASH because of disability. As many as 20% of the poorest of the poor are disabled and people with different types of disabilities, experiences different challenges and discrimination in accessing WASH . This group of people needs a well designed toilets we cannot talk of marginalized groups without mentioning women and children who constitute about 70% of the population , they are often poorer than men. Poor hygiene has a serious impact on women reproductive health and lack of WASH facilities affects women’s dignity, safety privacy and girl’s access to education. Children especially girls are often burden by WASH task and miss out of school many girls do not go to school when they are menstruating because their WASH needs are not met. There is also need for the establishment of WASH in schools. The demand creation and provision of safe water and sanitation facilities in schools should be the first step towards a healthy physical learning environment. In schools, hygienic education should be aimed at promoting practices that would help to prevent water and sanitation related disease. It also leads to healthy behavior in future generation of Adults. Another group that is being marginalized in the society is the older people. This group is often among the poorest. They are likely to be affected by chronic illness and disability and it is often a barrier for them to access water and sanitation, so there is still need for service providers to remember and cater for them. However, those living with HIV/AIDS are also being discriminated against by the society for the fact that those living with HIV/AIDS need access to adequate safe water supply to prevent opportunistic infections. The provision of the water and sanitation services needs to be accelerated urgently together with sustainable operation and maintenance because meaningful hygienic education and use of facilities by all will lead to healthy living. Therefore, toilets and basic hygienic facilities can scientifically improve the quality of life and survival rates of people suffering from major disease like disability, HIV/AIDS as will as making it easier for those who care for them. Federal and State Government should apply equity and inclusion in designing water; sanitation and hygiene (WASH) programmers. Many schools especially in the southern part of Nigeria have poor hygiene conditions or do not have water, sanitation and hand washing facilities in their respective schools. Children have a right to basic facilities such as school toilets, safe drinking water, clean surroundings and information on hygiene. If these conditions are met children will learn better. 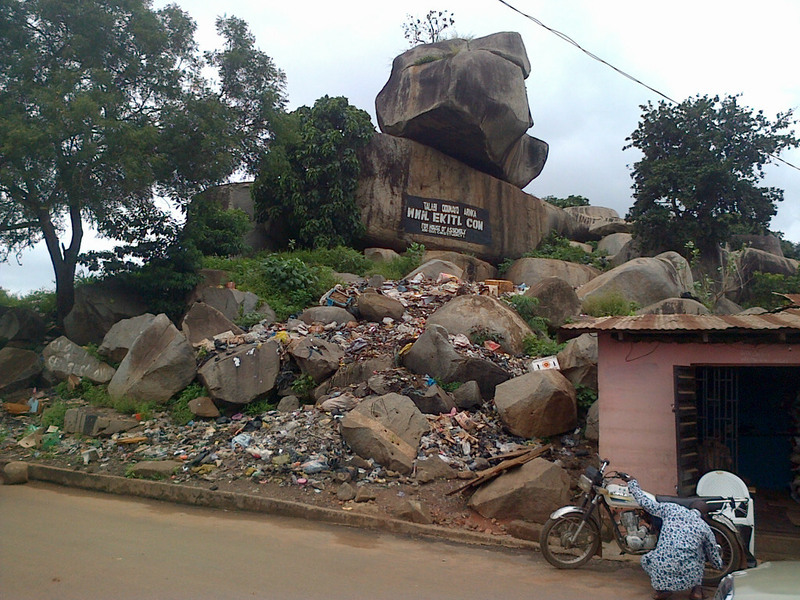 In Enugu State almost all the primary schools have no access to sanitation because without water, sanitation is not complete. 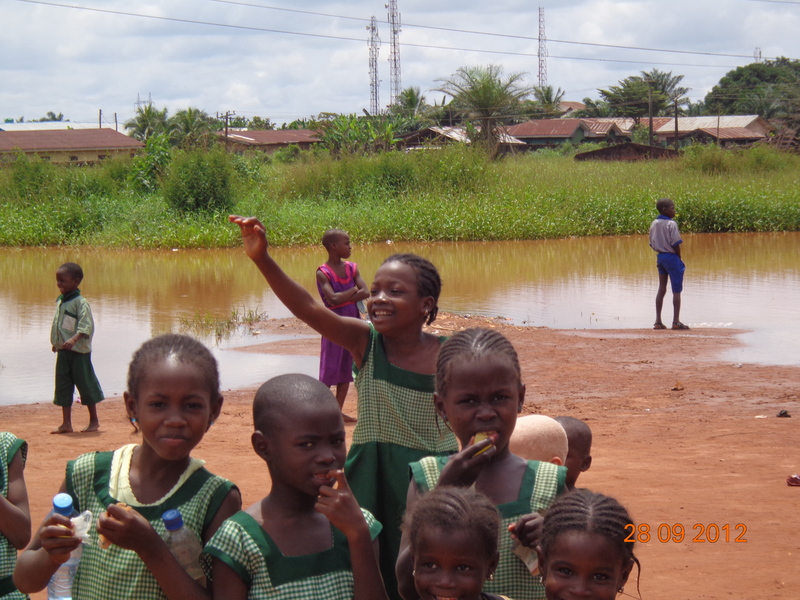 In an interview with primary five pupil schooling at the central school at the Central school Obinagu in Udi LGA of Enugu State Master Nnamdi Ene said they use to hear water , water everywhere but no water drink. According to Master Ene, “in my school we don’t have tap water or safe drinking water as you said but our teacher use to tell us to bring water while coming to school.”. He explained that water could be as drinking water or they use it to mix charcoal for cleaning the blackboard. He said that their teacher thought them to always wash their hands when they go to toilet, after playing but since there is no water to do the washing of hands nobody cares. Master Ene said that schools in the rural areas suffer more than those in the urban, pointing out that those in the urban school may have water system type of latrine while those in rural have pit toilet because they have not seen water to drink talking of flushing of toilet. 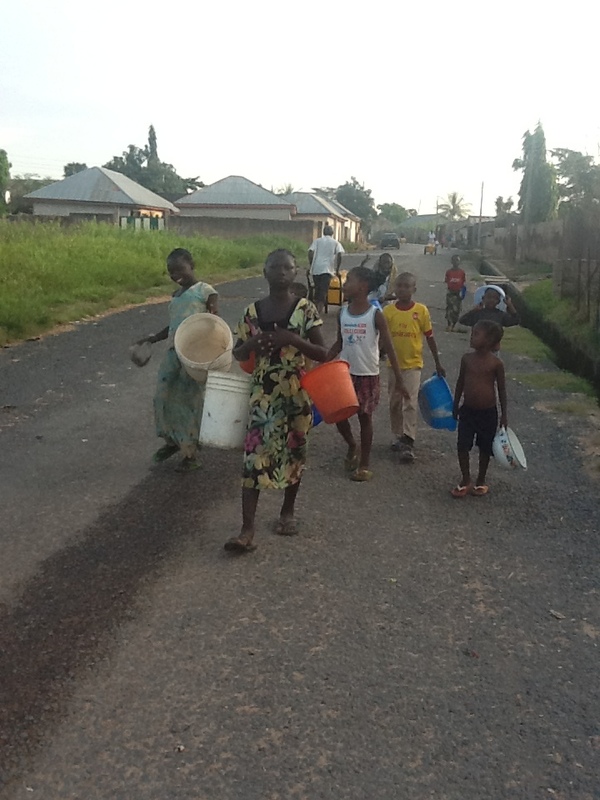 In Abakpa Nike Housing Estate Primary school story is the same, according to Miss Chika Okafor a primary six, student, there is no functional water point in the premise but nearby yards they have well water. On how the school is coping with sanitation, Miss Okafor explained that during sanitation or cleans up as they use to call it everybody will come including teachers who supervise the exercise, the pupil will sweep the surroundings and gather all the refuse to dump site infront of the school.